This is a fairly complicated object-oriented language, originally derived and designed to increase the C language. 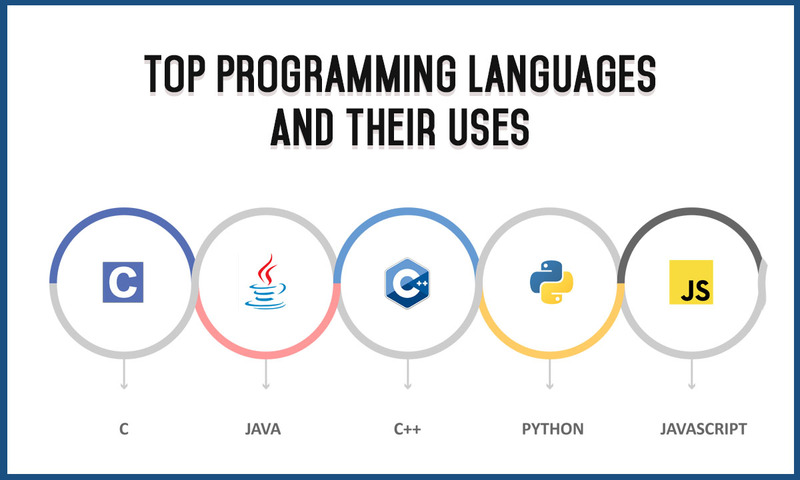 C++ is one of the most mature and certainly the most widely implemented object-oriented language. It super powers software such as Winamp, Firefox, and adobe programs. Its purpose was to develop systems software, high-performance power and client applications, video games and application software. C# (pronounced “C-sharp”) is an object-oriented programming language from Microsoft that aims to combine the computing power of C++ with the programming ease of Visual Basic. C# is based on C++ and contains features similar to those of Java. This is a client, and server-side scripting language formulated by Netscape. It derives a lot of its syntax from C. It’s purposely used in writing desktop applications and game development. SQL is a special-purpose language for handling information in relational database management systems. It’s mostly used for its “Query” function, which help in searching informational databases. Ruby is a dynamic, object-oriented language for formulating mobile apps and websites. Generally, it was formulated to be simple, and easy to write. It rules the Rails framework, which is purposely used on GitHub, Groupon, Scribd, and Shopify. This is a universal-purpose, object-oriented programming language employed by Apple operating system. It powers Apple’s iOS, OS X, as well as its APLs. It’s used to create iphone apps, which has brought forth a vast demand for this programming language. Hypertext processor is a free, server side scripting language formulated for dynamic app and website development. Basically, this is used for web development. This is a high-level, server side scripting language for mobile apps and websites. It is often considered an easy language to learn, owing to its simplicity, and straight forward syntax. It has web associated frameworks which make it convenient to formulate web-based applications. I wonder why not one of all these articles about programming languages mentions VB.NET or Delphi, which are much more readable, easy to learn, and versatile. Dear noob who said C# is use to devlop low level application.